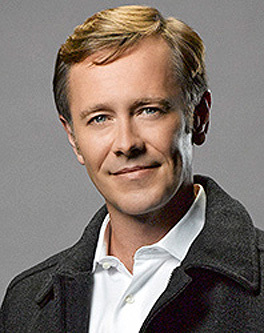 Peter Outerbridge pictured in his role as David Sandström in a publicity still from the TV series, ReGenesis. Outerbridgegrew up in Toronto and was bitten by the acting bug when he was in high school. Lucky for all of us, his parents were very supportive and encouraged him when he decided to move to British Columbia to study theatre at the University of Victoria. Soon after, he began a four-year stint in a fringe theatre troupe called Way Off Broadway which toured across Canada. He was nominated for a Gemini Award twice. Once in 1996 for his work in the television series The Outer Limits and again in 1997 for his role in the movie-of-the-week Captive Heart: The James Mink Story. For his role in Kissed, one of his first feature films, he picked up a Genie nomination. 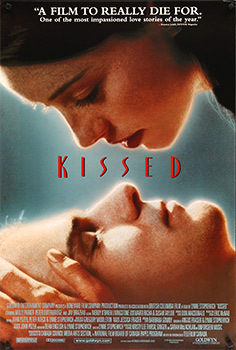 This poster for Kissed was scanned from an original in the Northernstars Collection.